Now that the Fortnite comet has hit, the map is doted with craters. 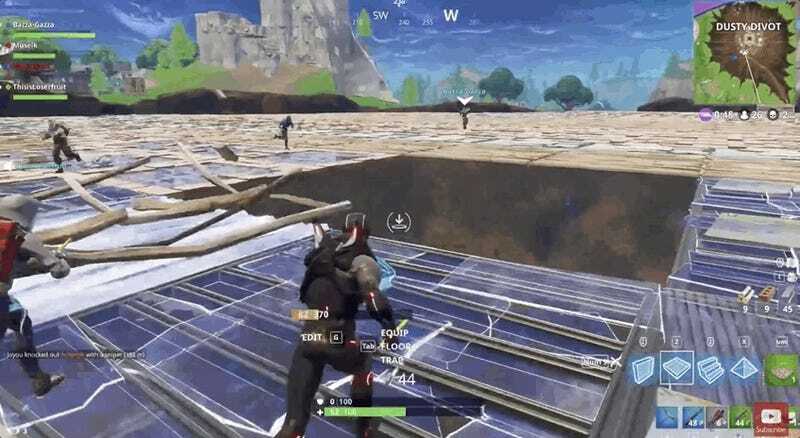 The biggest crater, as we all know, is located at Dusty Divot. You can’t really go to Dusty without entering a fight now. 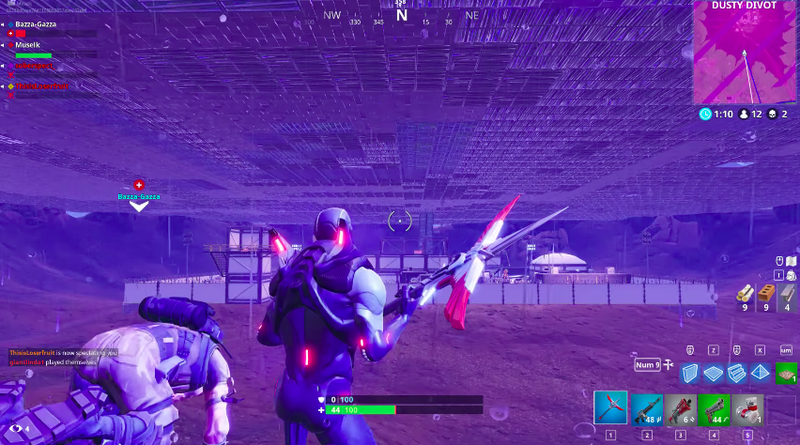 Regardless, one group of fearless Fortnite fans challenged themselves to build over the entire crater, and it turned into an inspiring adventure that challenged the very nature of the conflict-laden game. The first few tries are complete failures, but the group doesn’t lose hope. One attempt even sees people ceasing fire, opting to dance instead. But it’s not long before someone pops in with a rocket launcher and ruins the whole thing. Th teams gets exasperated.